In this chapter we review the main concepts from the theory of topological groups and Lie groups that we need for the main part of the book. We define topological groups and present some important of Mathematics and Statisticstant examples, including the classical groups. We briefly describe the role of covering groups and investigate properties of Haar measure on locally compact, Hausdorff groups. 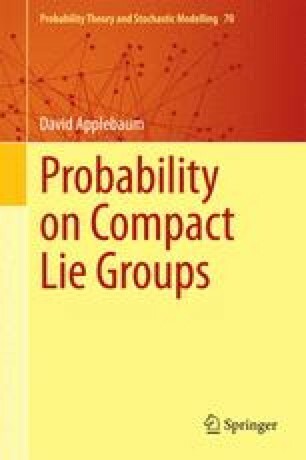 We define Lie groups and their Lie algebras, and introduce the important concepts of the exponential map and the adjoint representation. In the last part of the chapter we consider the Laplacian as an algebraic object belonging to the universal enveloping algebra of the group.